Action Network » Can the Seal of Biliteracy Promote Language Education in the United States? An initiative to recognize second-language proficiency could change the way people across the United States think about language skills. In recent years, several studies have revealed startling deficits in second-language proficiency in the United States. Only 20% of American students learn a language other than English in school, compared to 92% of European students. Just one-quarter of adults in the United States report speaking a second language; within that group, of the 43% who claim proficiency, only 7% acquired their language skills in school, while 89% did so at home. These statistics reflect widespread ambivalence about the importance of including language instruction in the curriculum in the United States. Sidelining language instruction has consequences for ELL students, or English language learners, who often fall behind their peers for lack of sufficient language support in schools. In this context, inadequate language education has broader implications: if we don’t see the value of teaching English-speaking students a second language, how can we support the over four million students learning English in the United States? The Seal of Biliteracy is an award that promotes the study of language by recognizing students who demonstrate proficiency in a second language. Students who succeed at state English and foreign language exams are eligible to receive an official certification on their diplomas or transcripts. In this way, the seal provides an incentive for students to pursue a second language, encouraging student engagement and bringing new life to language learning. Established in California as part of the 2010 Californians Together campaign, the award was developed with Spanish-speaking ELL students—a group representing 25% of the state’s K–12 student population—in mind. Students entering schools with the ability to speak another language are ideal candidates for the seal, which places them a step ahead of their peers by arming them with an additional credential on their diplomas. To these ELL students, the seal represents a key opportunity for educational and professional advancement. The Seal of Biliteracy is most often awarded by states or school districts, but individual schools can also take steps to implement the award. Forty-three states now award the seal at the state or local level, leaving only a handful of states that have yet to adopt it. While rural areas may lag in implementing the seal due to their low ELL populations, the program has shown rapid growth across the country. 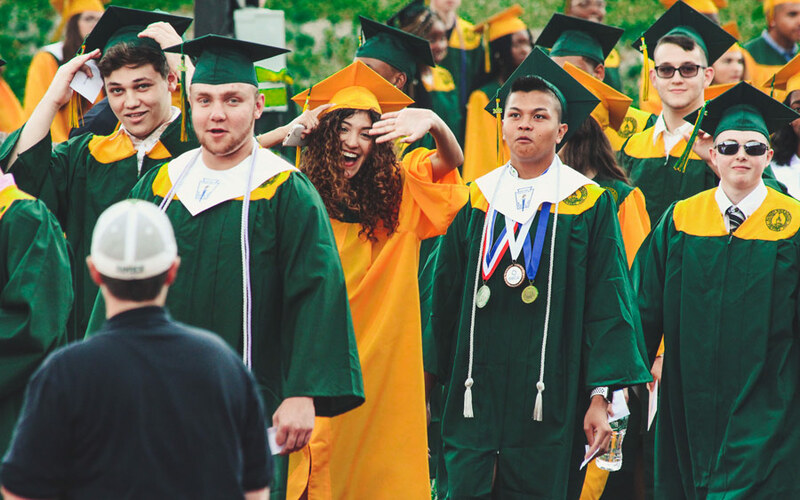 For example, in Denver, Colorado, the number of students graduating with the seal nearly doubled in just one year, jumping from 490 students in 2017 to 893 in 2018. In the long run, the Seal of Biliteracy may make studying languages more appealing to students. By rewarding biliteracy and framing language competency as a valued skill, rather than as a disadvantage, the Seal of Biliteracy could be an important step in changing perspectives on the importance of multilingualism in the United States.